This pathway provides guidance on the imaging investigation of adult patients with suspected acute osteomyelitis. 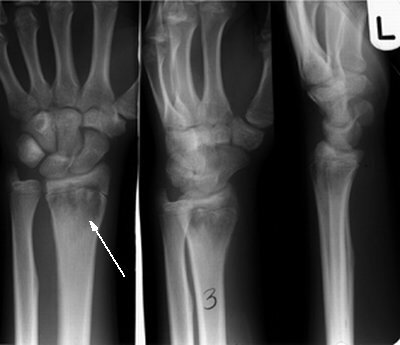 Image 1 (Plain Radiograph): Osteomyelitis of the left distal radius (arrow). 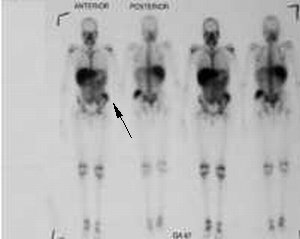 Image 2 (Bone Scan): Focal area of increased uptake representing osteomyelitis in the region of the left iliac crest (arrow). 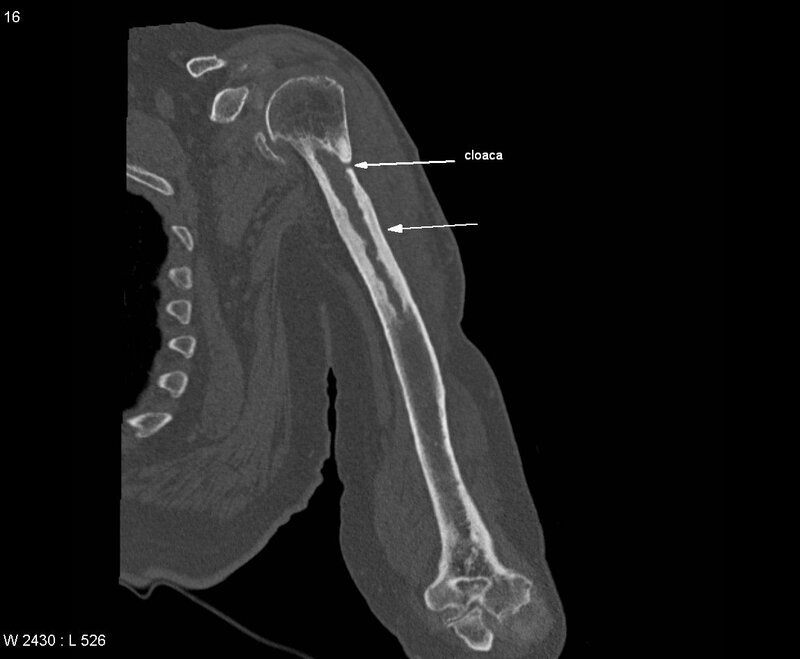 Image 3 (Computed Tomography): Coronal image of chronic osteomyelitis showing cortical thickening of proximal humerus (arrow). 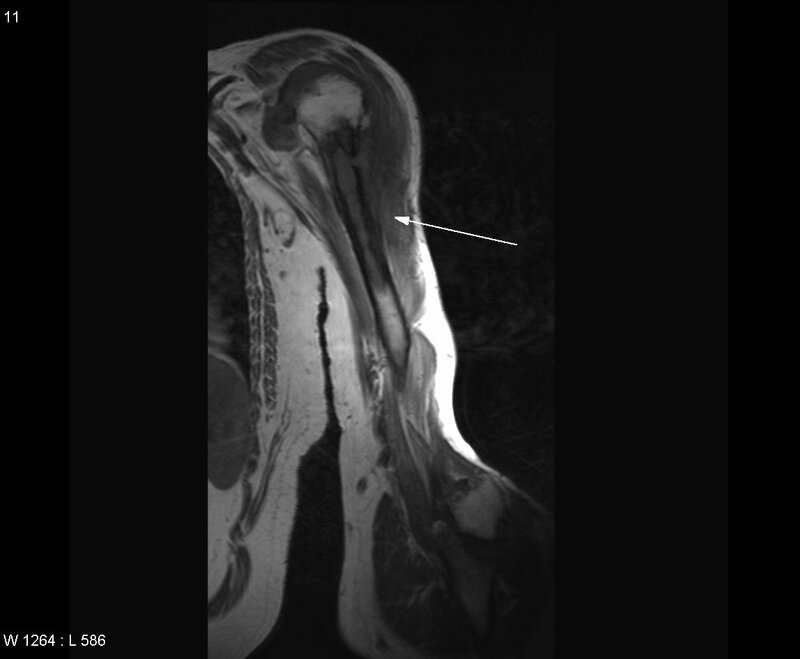 Image 4 (Magnetic Resonance Imaging): Coronal T1 image showing chronic osteomyelitis of proximal humerus (arrow).